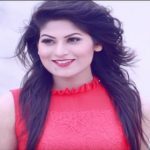 Sadia Islam Mou is the country leading model and dancer. She is the best-known as Mou around the country. She is also a television actress in the country. Mou is the iconic Model of the Bangladesh who is followed by most of the rising models of the country. 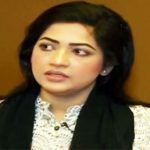 Sadia Islam Mou started her career as a model in the showbiz industry. She is the most commercially successful Model in the country who acted in the TVC of the country leading brand during the 2000s. Especially, she comes to the timeline around the country by TVC of Keya Cosmetics. In early career life, she would play a role only for TVC for various brands of Bangladesh. Then she turned himself into a television actress. Sadia won Meril Prothom-Alo award for the magnificent modeling quality. She works in most TVC with popular model Adil Hossain Nobel.